My friend, Casper Rigsby, recently wrote a thought-provoking blog post, "We Apologize for the Inconvenience." In it, he discusses the deistic view of God and suggests that it causes no harm. Deists are people who believe that the universe was created by a conscious God, but they subscribe to no other religious beliefs and do not believe that God continues to play an active role in the universe. According to Casper, "My position on God is that God is irrelevant." In other words, God is not the problem. Casper's issue is the amount of added dogma that accompanies religious beliefs. 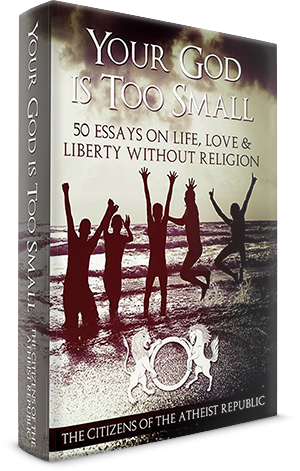 Therefore, Casper argues that our focus as atheist activists should be on tearing down religion and dogma rather than tackling the issue of God itself. In my opinion, Islam, Christianity and any other world religion is not the main issue. It is God, or the concept of God, that sits at the root of all this. Belief in God opens the door to dogma because it allows people to think illogically and accept irrational premises. Casper once told me that "even offering that the idea of God has any relevance to humanity gives too much platform to the idea. God doesn't exist, as far as we know, and so has never done anything, isn't the problem, and doesn't deserve attention. Religion is the problem." 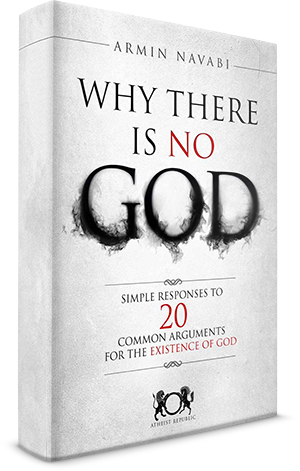 At the time, I responded that God doesn't exist, but the concept of God does. And that concept continues to cause a lot of harm. If you accept that 2+2=5, given this premise, it could be logical to conclude that 2+3=6. Valid arguments with false premises lead to false conclusions. When you are able to convince people of one premise without any evidence, you can continue to convince them of many other things without evidence. Thinking carefully over the issue, I've now come to realize that the underlying culprit is neither God nor religion. The real problem is gullibility. Humanity has long been afflicted with the curse of accepting superstitious and dogmatic claims without evidence. This habit is responsible for dogmatic world views about everything from religion to pseudoscience, including dangerous medical decisions about homeopathy, faith healing and resistance to vaccines. All of these beliefs are unfounded, costly and dangerous. Yet the greatest of all superstitious claims is the idea of God itself. No other claim can match the influence and prominence of God in our world today and throughout history. This is what makes God the most dangerous of all superstitions; it is a belief so widely and fervently held that it holds a powerful and dangerous influence over the lives of millions. All the same, God is just a symptom of the greater issue of gullibility and superstition. Accepting a claim without evidence or holding a belief that opens one up to being conned is the underlying problem. I would agree that moving from dogmatic religion to deistic beliefs is a major improvement, but the shift in thinking should not stop there. Going from deist to atheist is even greater progress. A desist's beliefs cannot be harmful to others on account of deism alone.. Simply believing in a God does not pose the same dangers as a dogmatic religion. However, a deist still believes in something without evidence, which allows more of such credulity. I once used the metaphor of religion as poisonous flowers that grow on a tree of God with roots in gullibility. If you cut off the flowers, you'll just watch them grow back. Cutting the whole tree is by far much more effective. I still believe that this is true, but I also think now that it takes all kind of approaches to tackle the social cancer of religion. We don't need to limit ourselves to discussions of God, religion, dogma or superstition. Any and all of these discussions are valuable and have a place in our efforts. My own bias to focus on God might be due to my personal path toward atheism. When I was a Muslim, I did not turn away from Islam because of any faults in the religion. In my mind at the time, any problems others find with Islam were because these critics so arrogantly believed that they could understand the mind of almighty God. Surely, I thought, God must have a good reason for his commands; we mere humans shouldn't expect to understand. What started my doubt was the eventual realization that I had absolutely no reason to believe in God. My long-standing beliefs were not supported by evidence. This led me on a desperate hunt for evidence or a logical reasoning for God so that I could validate my own beliefs. When this search failed, I reluctantly accepted my atheism. There was no other rational choice. This started another process in my mind. It also made me skeptical toward other things. I subjected other strongly held beliefs to the same rigors of proof, and I found this to be very helpful in my life. For me, and for many other people, the first step toward approaching the world with skepticism is to realize that our dearest and most centrally held belief is merely a baseless claim with nothing that can be considered evidence to back it up. And for most people, that is God.